What is Mesclun? I didn’t know either. That is, until we received an order from the Organic Food Coop we used to use before we bought our Tower Garden. Mix the desired quantity of mesclun mix, add some extra arugula, sprinkle it with chopped basil,and a couple of sprigs of fresh thyme. You can add tomatoes, avocado*, and cucumber. For the dressing, a little bit of olive oil* with grated ginger and some citrus juice. (key lime, lemon, or blood orange). Arugula is a good source of Protein, Thiamin, Riboflavin, Vitamin B6, Pantothenic Acid, Zinc and Copper. It’s high in Dietary Fiber, Vitamin A, Vitamin C, Vitamin K, Folate, Calcium, Iron, Magnesium, Phosphorus, Potassium and Manganese. Chervil is low in Sodium. It is a good source of Dietary Fiber, Thiamin, Riboflavin, Niacin, Vitamin B6, Magnesium, Phosphorus and Selenium, and a very good source of Vitamin A, Vitamin C, Folate, Calcium, Iron, Potassium, Zinc and Manganese. Green Leaf Lettuce is a good source of Protein, Calcium, Magnesium and Phosphorus, and a very good source of Dietary Fiber, Vitamin A, Vitamin C, Vitamin K, Thiamin, Riboflavin, Vitamin B6, Folate, Iron, Potassium and Manganese. (note: use red leaf lettuce for added selenium). *Avocado is a superfood. 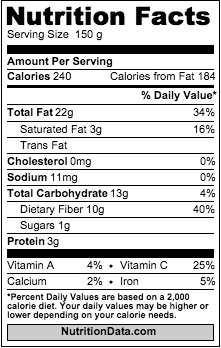 It is is very low in Sodium (10.5 mg) and very high in potassium (727 mg). It is FULL of healthy fats (2534mg of Omega-6 fatty acids per 165mg of Omega-3 fatty acids). It is also a good source of Dietary Fiber, Vitamin C, Vitamin K and Folate. 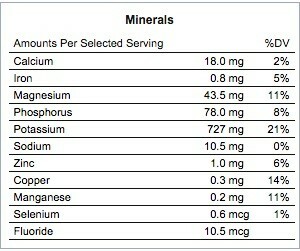 You can check out more nutritional information for the other mesclun ingredients at http://nutritiondata.self.com. 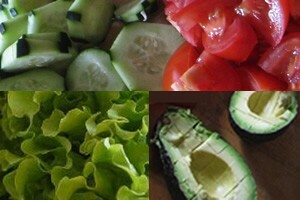 Check out other Raw and Cooling Salad Ideas, in an earlier post. *Want to experiment with other salad oils? Here’s a prior post of oils & fats.